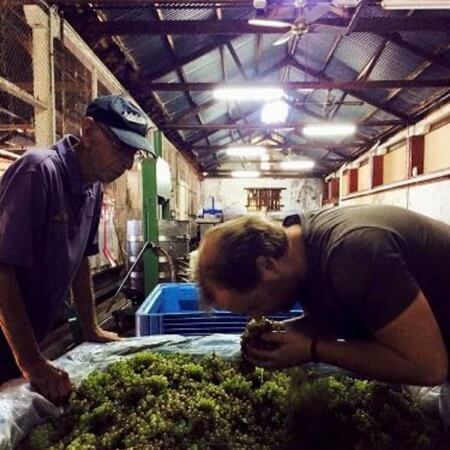 Winemaker Matt Broomhead sources the fruit for this little gem from 90-year-old dry-grown bush vines in McLaren Vale. It's classic McLaren Vale Grenache: brightly fruited, highly perfumed, and powerful. A portion of whole bunch ferment adds additional layers of spice and a more serious structure than you might expect from a $25 red. It's great value and an excellent example of the bang-for-your buck you can get in McLaren Vale reds if you know where to look. Three Dark Horses is the passion project of ex-Coriole winemaker, Matt Broomhead. 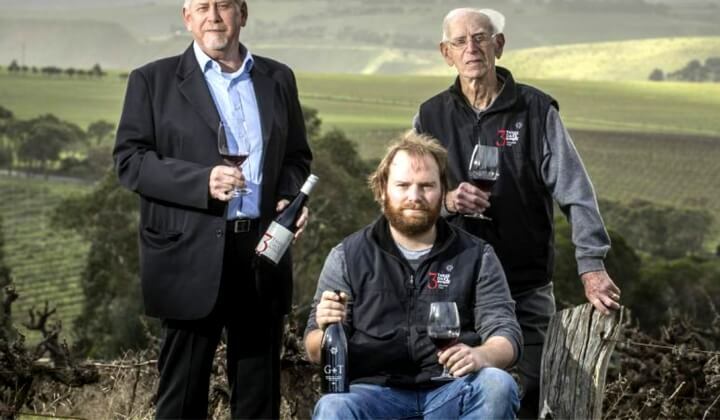 Together with his father and grandfather, the three Broomhead men have embarked on a mission to make some of McLaren Vale's best value wines. Focusing on mainly Rhone varieties, they are endeavouring to produce "small batch, hand made, and affordable wines of character." This is a small, family-owned affair that is consistently releasing delicious, full-flavoured wines that showcase the best aspects of the McLaren Vale region. Well rounded, with good punch. Went great with our steak dinner. 90yo dry grown bushvines, wild-fermented with 30% whole bunches, matured in old puncheons for 9 months.